Yesterday, I saw this graphic in both Suzanne Downing’s Must Read Alaska blog and on The Dave Stieren Show Facebook page. Sure, it looks real. And it wouldn’t necessarily be out of the realm of possibility. 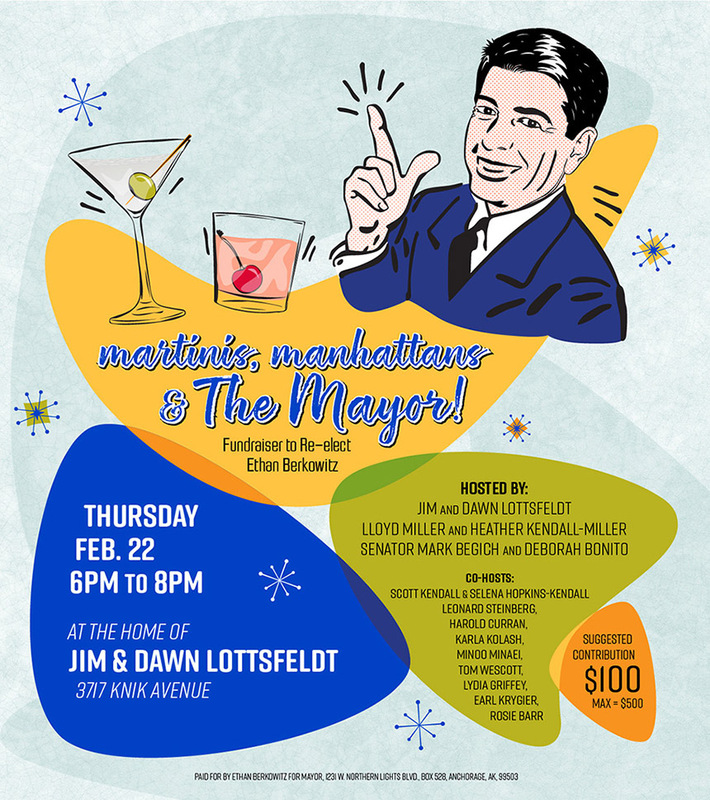 I gave it a double-take because it’s supposedly being held at the exact same time as my Berkowitz fundraiser which is cosponsored by Mark Begich. 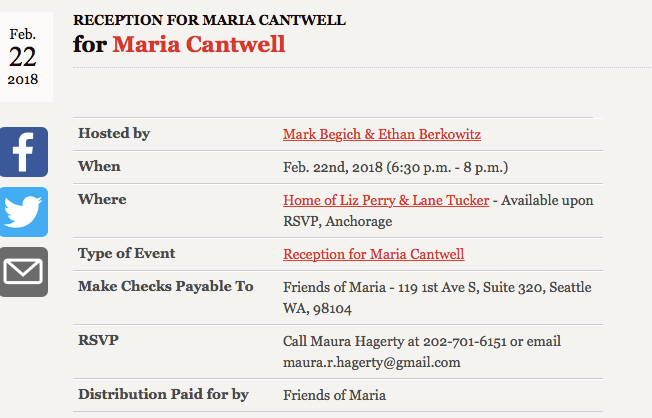 Somebody decided to create a completely fake event, and both Downing and Stieren used it to attack Begich and Berkowitz. This isn’t the first time Downing has published false things to attack Democrats or folks in her party she doesn’t like; she routinely has attributed things to me that are false. 6 Comments on "TMS Editorial: Fake News from Suzanne Downing"
Chronic partisan rabidity ‘splains it. Thank you Mr. Lottsfeldt. I read that bit of fake news and shrugged. I think I’m good at staying informed, but I never checked that out. Had it been repeated to me often enough, I woulda believed. I still remember the unnecessary vitriol that exploded on my Facebook feed when she came out with the fake Walker / Patriot Day story. Problem is that this tactic generally works on most voters, does it not? I appreciate that you report on it, though. Thanks. Why make stuff up? Conservative = authoritarian = disrespectful of others’ rights = foundation of deceitful behavior. 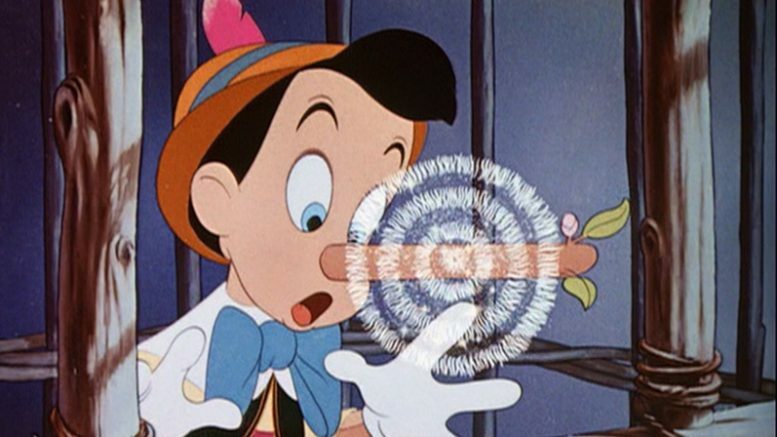 Spreading lies and disinformation is today’s GOP way! Saying anything that causes distrust and divisiveness is today’s GOP/Trump modus operandi. Sewer-zanne Downing would feel right at home with the Russian bots that are infesting our nation. Thanks for calling her out and showing what a nasty liar Downing is. Ummm….Liz lives in Juneau, right?